With genealogical researches we discover how important events in the course of history affect the everyday lives of ordinary people. The period between the both world wars had importantly marked the Slovenian territory, as new borders were established; on 10 October 1920 plebiscite in Carinthia took place and in November also negotiations in Rapallo were completed, important mainly for residents in the western part of Slovenian territory, because the new line of demarcation was: Mangart – Triglav – Krnice pri Novakih – Špehovše – Hotedrščica – Planina– Snežnik – Reka. It often happened that the new border indented in the landscape as a foreign body and an area that once had functioned as whole was “dismembered.” But the population had to manage, if they wanted to survive and also earn something beside the humble farm income. That is why smuggling was developed near the border, called “kontrabant”. Sugar, coffee, cattle, wine, grain, spirits were the usual goods, which were smuggled over Italian-Yugoslav border. Over the course of the genealogy research, we discovered that the border was secretly passed also by brides and their children. Such stories are often kept in family legacy. One of them, we had the opportunity to confirm, through register books and family tree; which was written by a priest as a wedding gift for the bride and groom. 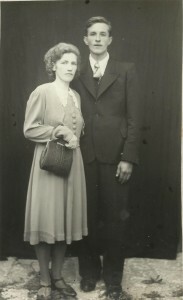 According to family legend, the bride had presumably fled across the border just before the wedding, which was on 12 October 1941. 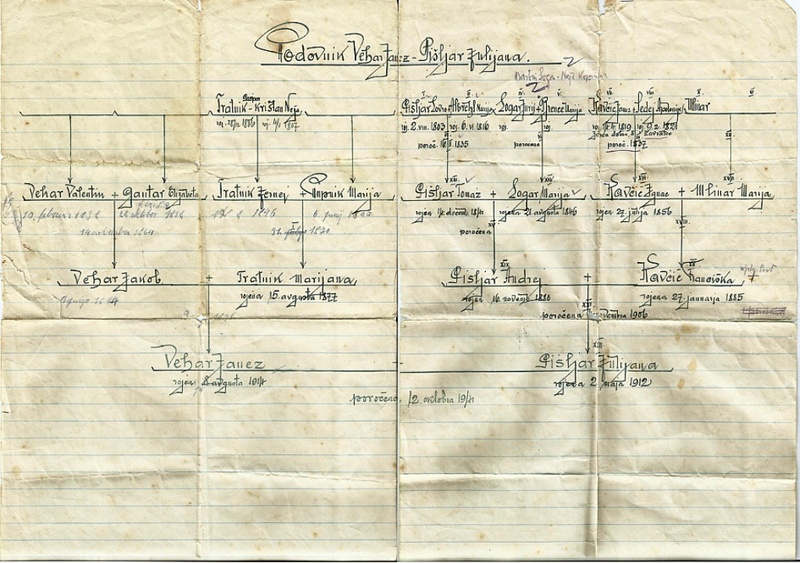 During the genealogy research we discovered that in the narration must be some truth because the bride was born in Ravne, which had been under Italy since the 1920’s and the groom lived in Žiri, which had fallen under German authority when the war started. But also is true that the bride had to smuggle a child across the border, since a son was born on the Italian side two months before their wedding.